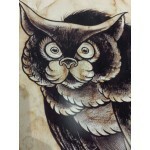 Print of Meowl illustration on coffee stained paper by Andy Howl. 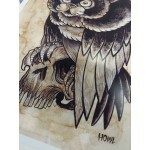 Giclee print on semigloss canon paper. Signed. Paper Measures 13x19. 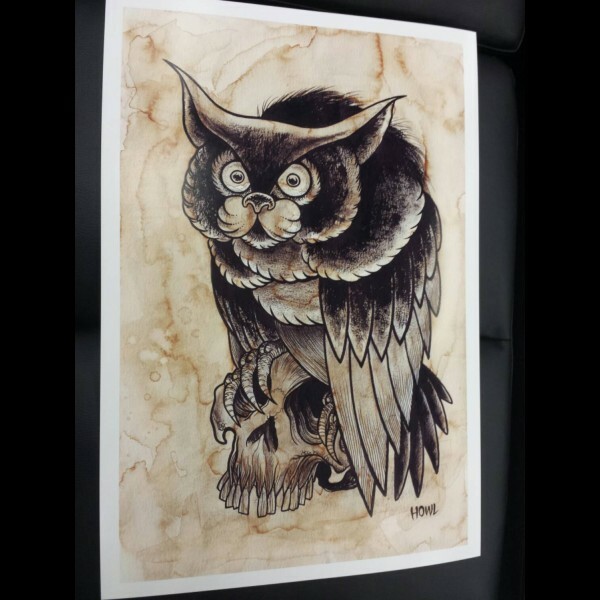 Print is actual size of the original.